realised that Thatchmore Farm had tomatoes, there were only two tomatoes left. I snapped them up. I came home to work in my garden looking forward to my first tomato sandwich of the season. 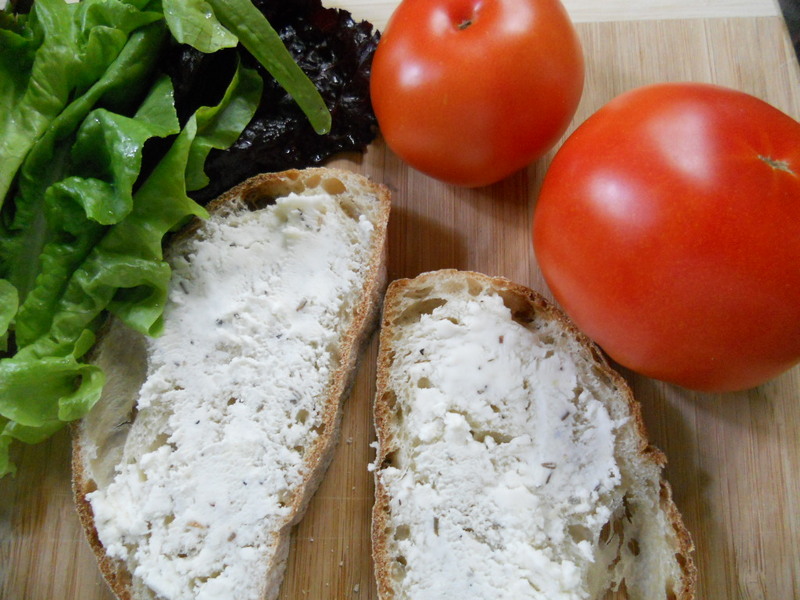 The bread, a whisper of Rosemary-Fig Chevre, and the tomatoes were from the Tailgate Market. 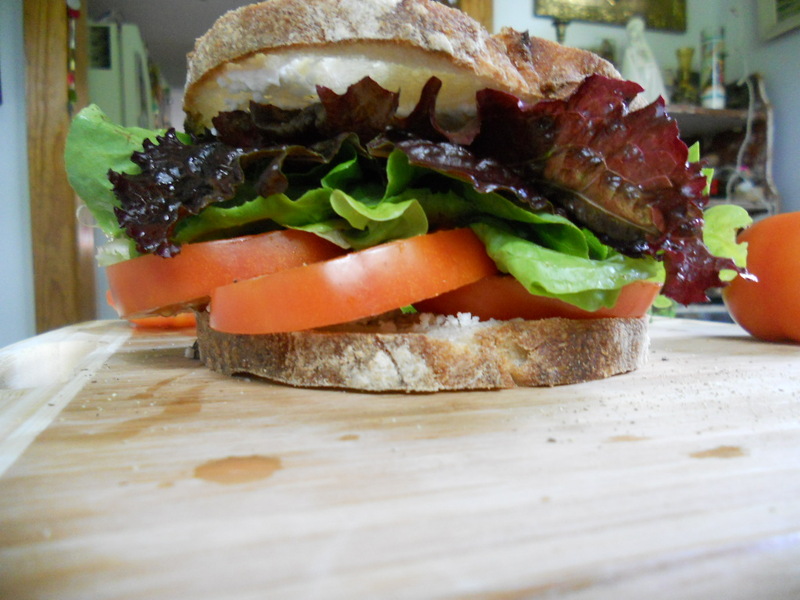 I picked the lettuce from my garden just before making my sandwich. This Saturday (February 4) is the grand opening of a NEW, yes new WINTER TAILGATE MARKET at the Neighborhood Y in Woodfin (located indoors in the YMCA’s Multipurpose Room) from 10 to Noon. That’s right. The market is only open for two short hours late on a Saturday morning. But isn’t that about perfect? You can sleep in, and then snuggle into your sofa sipping hot coffee and pondering the mysteries of the universe…or maybe watch a few cartoons. And then finish out this leisurely morning at the Winter Tailgate Market indoors ~ enjoying another cup of coffee and munching on some sort of wonderful pastry. Wander the other booths and fill your bag with all the tailgate goodies you have been longing for since Christmas. Goat cheese…fresh eggs…crusty bread…local meat…homemade pasta, and more. Sounds fabulous, right? Ends at noon! 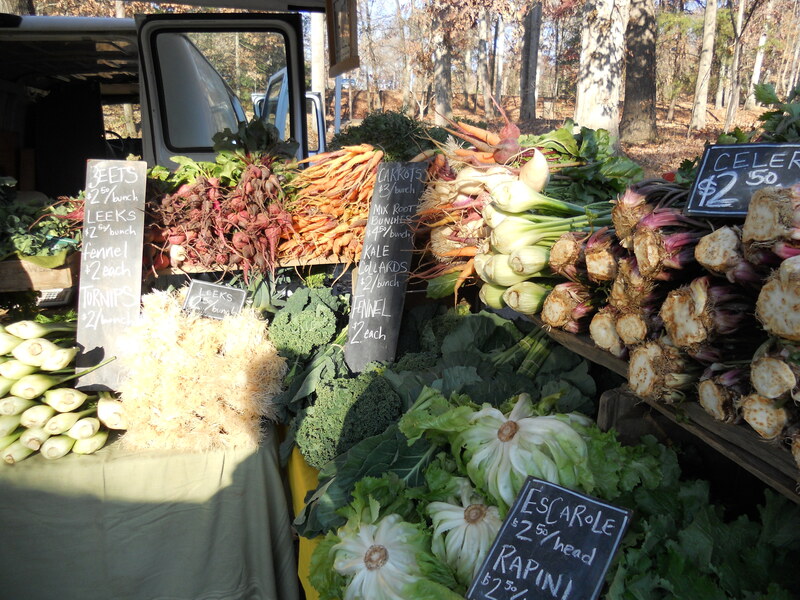 Farm & Sparrow Bakery (great bread and baked goods), Hickory Nut Gap Farm (meats), Spinning Spider Creamery (goat cheeses), East Fork Farm (meat and eggs), Sweetheart Bakery (sweet and savory baked goods), Lady Luck Farm, Pasta Mama (fresh pasta), Asheville Coffee Roasters, and more! A portion of the vendors’ profits will benefit a good cause ~ the Y’s Healthier Communities Campaign. The YMCA is located at 40 Merrimon Avenue. The market will run through the end of March. Do you live near Barnardsville in North Buncombe County? 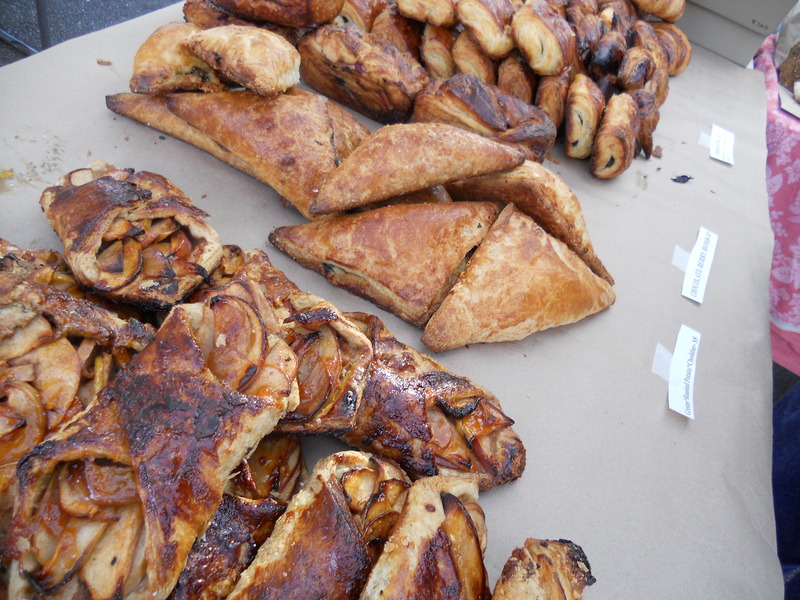 Visit Dillingham Winter Market on Saturday too…from 9-1. They will have honey, fresh coffee and coffee beans, romaine and spicy salad mix, crafts, knitted scarves and hats, fresh eggs, beef, chicken, lamb, and more. Get your tailgate market fix! Asheville City Market South is open indoors now. It sounds like they had a fabulous turnout last week (their first week indoors). Goat cheese lovers – I saw on their Facebook page that Spinning Spider Creamery will be attending this week. 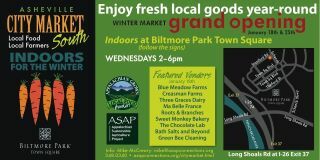 It is from 2-6 every Wednesday at Biltmore Park Town Square (near REI). Wednesday, January 25 – Carolina Wild Seafood will be in Waynesville at HART parking lot from 8a.m. 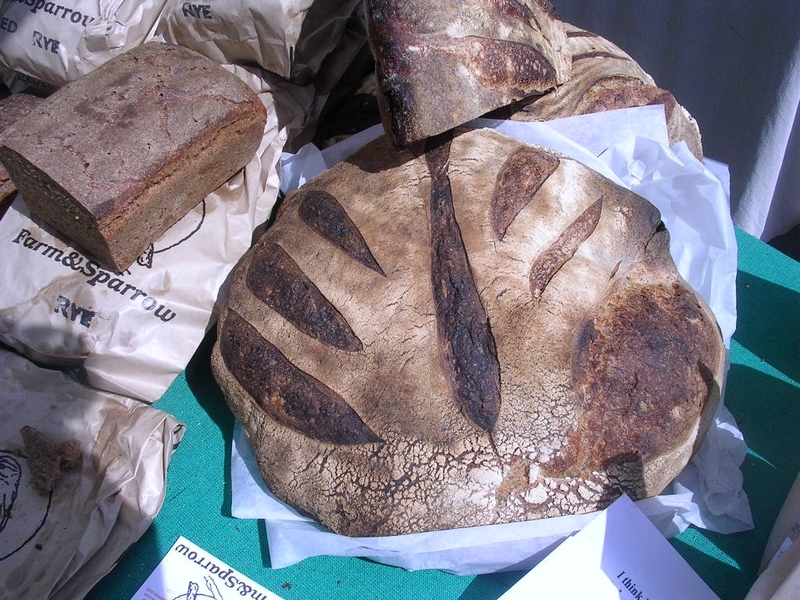 to Noon and in Asheville by the entrance to the French Broad Food Coop from 2 p.m. to 6 p.m. Call or text Bernie prior to that to place an order at 828-768-2376, or you can email him on his smart phone at bsmolnik@msn.com . Saturday, January 28 – Madison County Farmers’ & Artisans’ Market will be open at the Madison County Extension Office from 10 to 2. (the office is on Carolina Lane in Marshall). 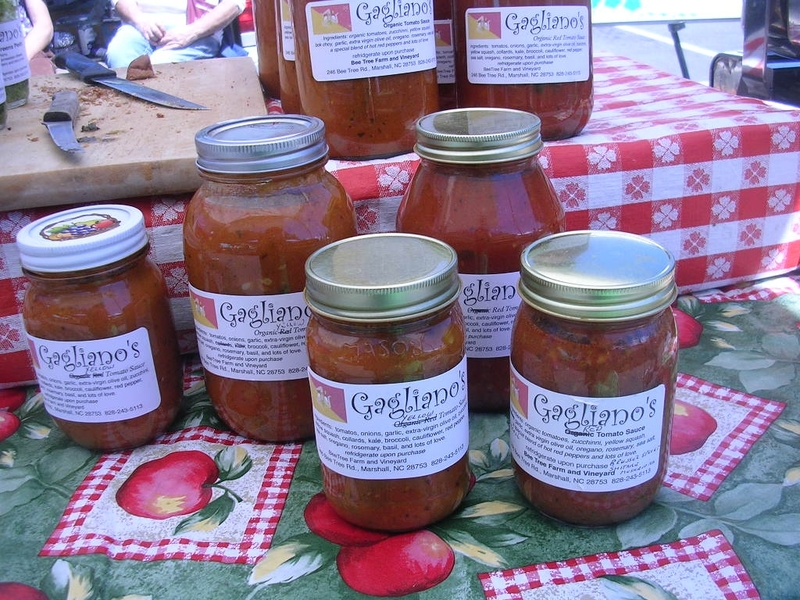 Saturday, January 28, Spruce Pine Farmers’ Market, 12-4 at Mountainside Wine. Do You know of other markets open now? Please leave a comment with info about them. 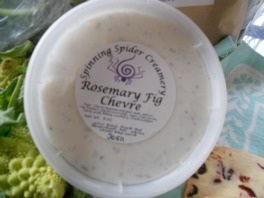 Last week I rushed in to the market before work; I was on a mission to get goat cheese for my daughter to take to the beach (she and her friend Marika claim that Spinning Spider’s Rosemary-Fig Chevre is their very favorite, but they will eat others when pressed). I sped over to Anne Gaines Grier (Gaining Ground Farm) and got two pints of strawberries. One went to the beach, one I enjoyed tremendously. We have been eating strawberries for weeks now and that is just heaven. And no, I haven’t made anything like a pie. They haven’t lasted long enough. And guess what? One or two blueberries in my yard are turning blueish…so blueberries will be coming in soon too. I almost forgot to mention the Currant Croissant I got from Farm and Sparrow Bakery. David made these last year, but I only saw them every now and then. Very, very, yummy and flaky. That was breakfast, and off to work I went. The previous week, I actually was able to go to the West Asheville Market, the Wednesday Coop Market and the North Asheville Market all in one week. 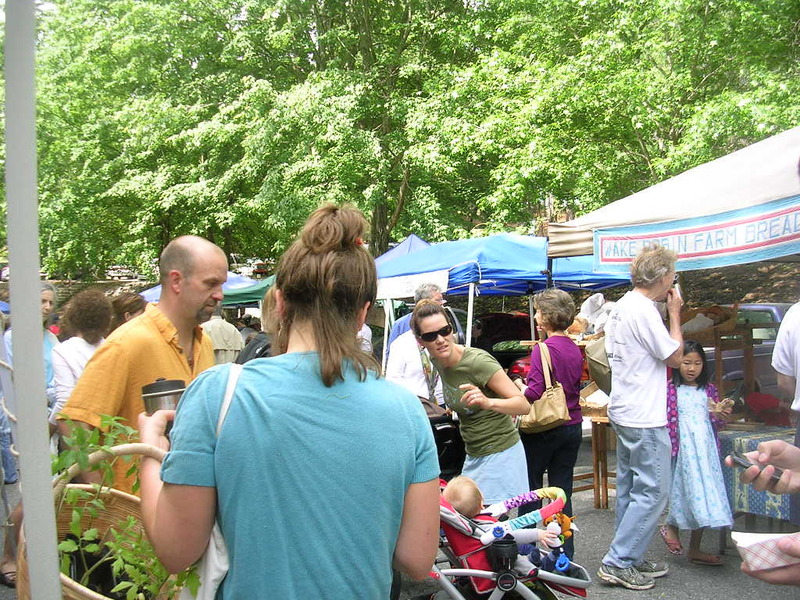 I hadn’t planned to go to The West Asheville Market, but it had been super hot all day long. I started daydreaming about those wonderful Popsicle. By the time I got there after work, she was out. Wah! That left me with a perfect excuse to get a bag of Roots & Branches Rosemary Crackers. I had a big Tailgate Market list on that Saturday. 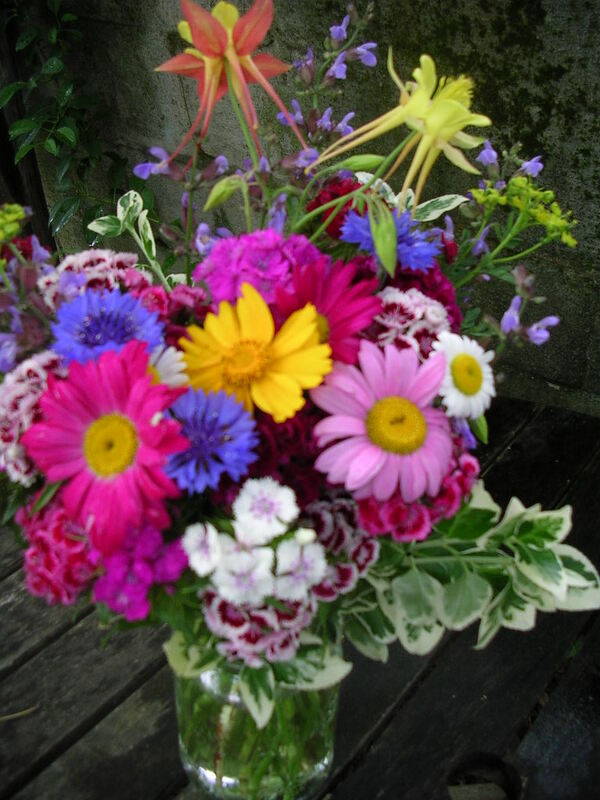 My friend Nell is recuperating from a hip injury, so we got her a beautiful bouquet from Tuckers Gardens and some of Joanne Moore’s homemade shortbread. We got 2 pints of gorgeous strawberries from Vanessa (Full Sun Farm) and pound cake from Cathy Osada to go along with the strawberries. For our friend Judy’s birthday, we found some earrings that were made from glowing periwinkle-blue sea glass. The jeweler, Victoria Baker makes them with beach glass she collects in her travels. Of course, goat cheese chevre was on the list. This is something our whole family adores. Amelia just posted a picture of baby Asher licking every last bit of chevre from a goat cheese container. How cool is that? Asher’s not even two years old yet! Make a day of it tomorrow. The markets are hopping. The food is fresh and packed with vitality. The farmers and producers care. We live in an amazing spot with multiple great tailgate markets. Revel in our local abundance. Visit one. CHECK OUT Riceville Tailgate Market’s new location: Grace United Methodist Church parking lot, 954 Tunnel Road, Fridays, 4-7 pm.